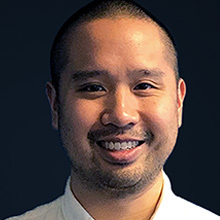 Derrick is the Director of Product Marketing at Rubikloud Technologies. He holds an Honours BA in Economics and Business and an MA in Economics from the University of Waterloo. Prior to focusing his career on retail, Derrick spent his early career in commodity markets and hardware tech, leveraging his academic focus of econometrics to model behaviour and improve forecasting capabilities. Realizing that retailers now have access to rich customer and digital data, he pivoted to focus on retail. Most recently, Derrick led the CRM and Marketing Analytics team at Canadian Tire, where he was responsible for offer and test design, customer targeting, revenue attribution modelling, and post campaign analysis.